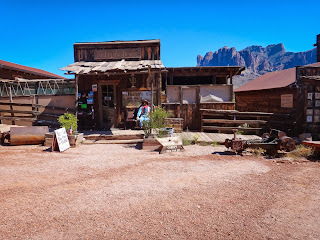 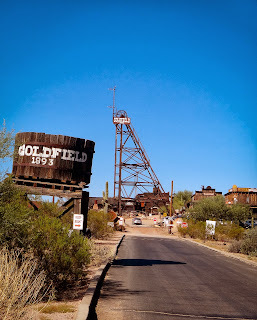 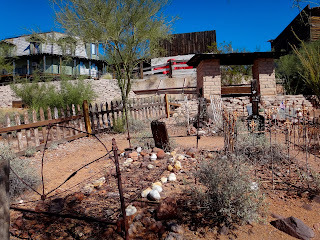 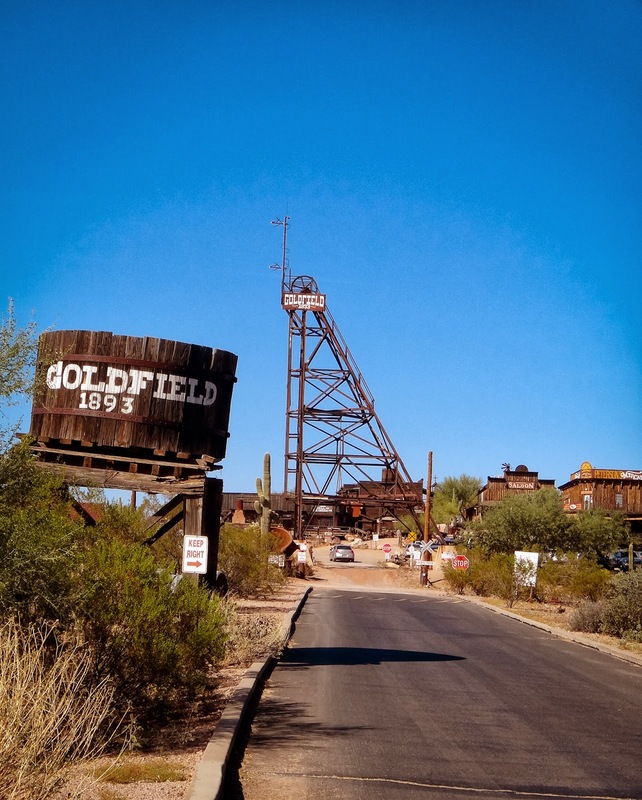 Welcome to Goldfield, Arizona, mining town established in 1893. That blue sky is not a Hollywood special effect. 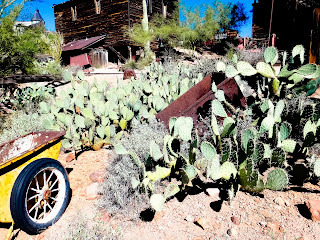 The town is real, even if it is a junk yard, of sorts, turned tourist trap. 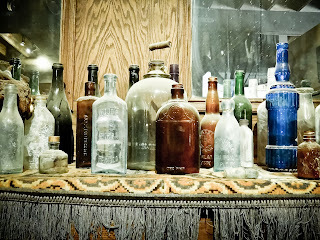 They've gathered some old west treasures together to attract people. 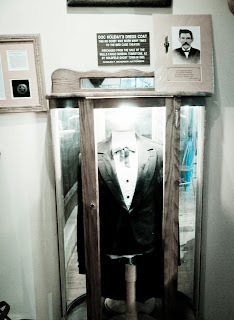 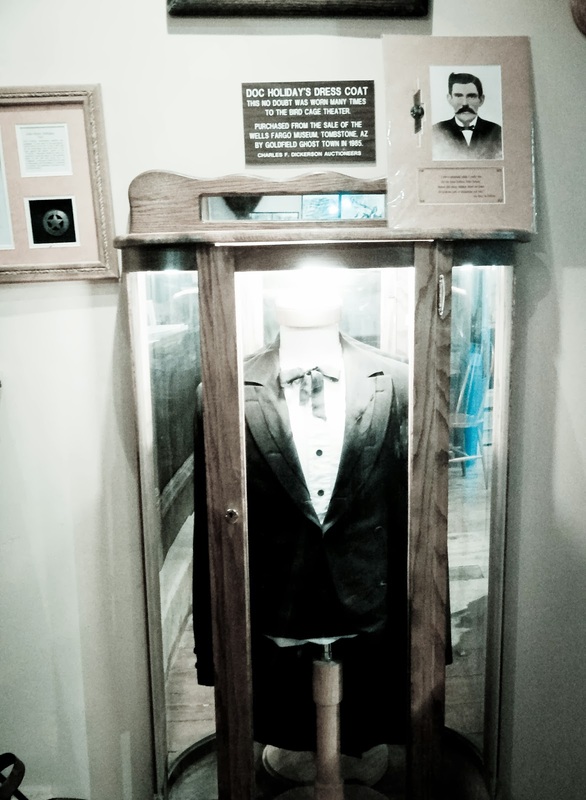 "Treasures" like Doc Holiday's suit coat. 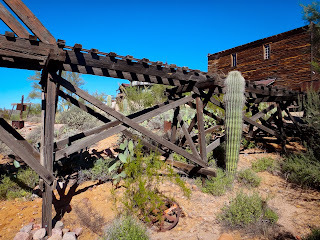 In other places out behind the main buildings things look just like they did when the miners abandoned them. Probably the cacti have grown up a bit taller. 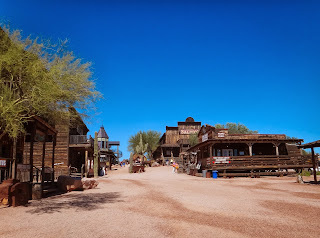 ...sort of...it's hard to see the abandonment with all the tourists walking around with ice cream.